It isn't untrue that you could be presented with imagery from a day's worth of fashion shows and be unable to decipher what city they were from. Traditionally, New York has an unmistakable functionality; London, an eccentric's flair; poised tailoring or pizzazz in Milan; romance and opulence in Paris. Obviously there are notable exceptions which befuddle the eye's capacity to distinguish the city something belongs too. 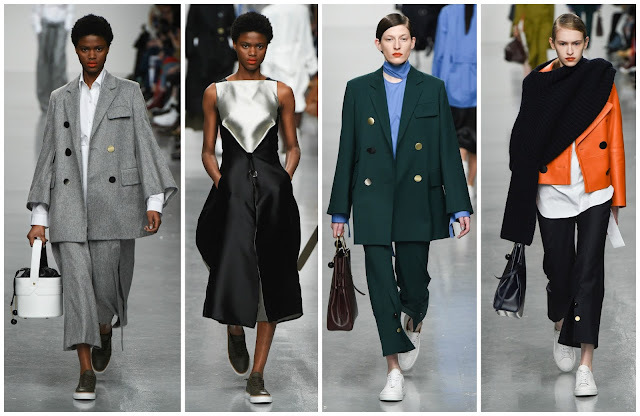 Day one of London Fashion Week, always one of the brightest, is swiftly determinable as London. February's instalment saw the inaugural show--Teatum Jones--features models of colour and represent people with disabilities, a noted first for fashion (but there'll more on that another time). 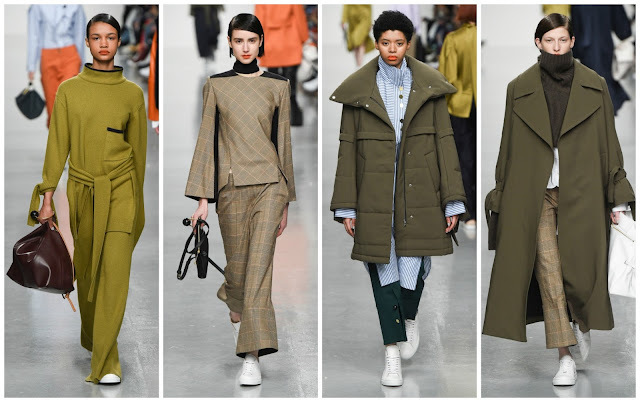 There was the Central Saint Martins MA show at the BFC Show Space at The Store Studios (formerly known simply for its geographical location, the anonymous canvas, 180 The Strand). The venue was thronged by fashion devotees clamouring to sneak inside. Many remarked how it was like a scene from the 1990s and early 2000s when excitement in fashion reached its highest heights. Eudon Choi's show in the early afternoon was blissfully refreshing, to say the least. The South Korean-born, London-based designer's show had London written all over it. On first glance there was the recognisably diverse casting which celebrated inclusivity. Comparatively, other shows, in London and elsewhere, lack this positive approach and it hinders their success: Junya Watanabe's atrociously cast menswear shows are a prime example. His sheer appreciation for women is often overlooked--unfairly--because of his business' contemporary level standing. Whether it's incorporating the work of female artists such as Saloua Raouda Choucair, Helen Frankenthaler, Francesca Woodman or assessing current trends and presenting them in artfully- and architecturally-inclined ways to enhance the lives of the wearer, there is an identifiable message: his clothes are a trusty means of transforming the quotidian into something beautiful and luxurious. He's got the fundamentals down. Perhaps now is the time to branch out.